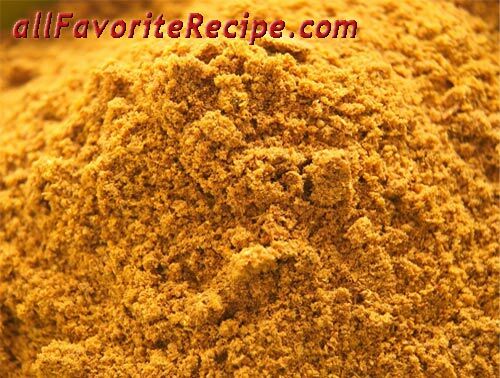 Powders and pastes are blend of spices, chillies, and herbs that are used as the basis of a curry. Traditional Indian households would blend individual spices as needed, but for convenience you may prefer to prepare a quantity in advance. Garam means hot and masala means spices. This mixture uses spices that are known to heat the body, such as black peppercorns and cloves. Garam masala is used mainly for meat, although it can be used in poultry and rice dishes as well. The aroma is generally considered too strong for fish or vegetable dishes. 1. Dry-roast the whole dried red chillies, cinnamon sticks and curry leaves in a wok, or large pan over low heat for about 2 minutes. 2. Add the coriander and cumin seeds, black peppercorns, cloves, fenugreek and mustard seeds, and roast for another 8 to 10 minutes, shaking the pan from side to side until the spices begin to darken in colour and release a rich aroma. Remove from heat and allow the mixture to cool. 3. Transfer the cooled spice mixtures using either a spice mill or a stainless mortar and pestle and grind the roasted spices to a fine powder. 4. Remove ground, roasted spices from the mill (or mortar and pestle, if using) and place in a large glass bowl. Add the chilli powder and mix well. Transfer in an airtight container. 5. Keep the garam masala for 2 to 4 months in a cool and dark place. Once opened, store in the refrigerator.